If you’re thinking about going to see the exhibit currently up at the BOX Gallery, prepare to travel to another country and explore the human condition. BOX Gallery is showing Aimee Lambes’ “Cuba: An Education” and Shannon Star’s “Vibrant Deterioration.” I thought it was a cool choice to put these two exhibits together. They complimented one another very well. Although the exhibits share two strong themes—deterioration and vibrancy—they were otherwise completely unalike and told two very separate stories. The deterioration in Lambes’ exhibit “Cuba An Education” is seen in the infrastructure of Havana, Cuba. Many of the buildings in Lambes’ photographs reveal the decay of a city that once thrived. The once beautiful buildings in these photographs are kissed with fading blues, pinks and yellows and are now embellished with rust, peeling paint and holes in walls and ceilings. The deterioration was in nearly every picture, and yet it was not the first thing I noticed. Against the decaying backdrop, a love for life shouts from these pictures. The oldest car in Cuba is from 1958. Lambes explains that “…there’s not really any technology” in Cuba; they were just starting to get the internet a year ago. Yet, I looked at the people in these photographs and saw people dancing and smiling. They have everything they need; they have each other. Friends, family, and joy are bursting at the seams of their culture despite the deteriorating infrastructure and the lack of technology. 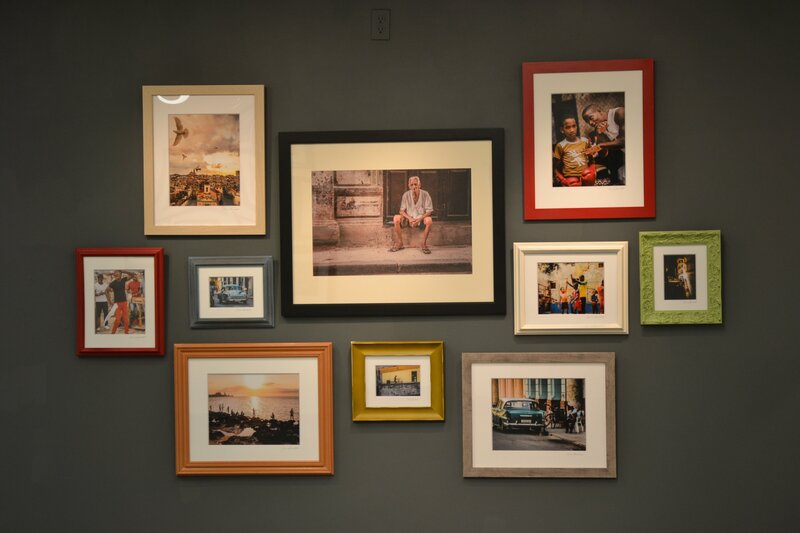 “Cuba: An Education” is a fitting title for the exhibit. I remember looking at some of the pictures and arrogantly thinking, “how are they so happy?” Lambes admittedly carried her American arrogance into Cuba, just as I had carried mine into the exhibit hall. Her opportunity turned into a learning experience where she says she met “really amazing people in a really amazing place.” Those who see the exhibit will get to experience the vibrancy of the culture, gain a new perspective on Cuba and be challenged to reexamine their own values all at once. The deterioration in Star’s exhibit “Vibrant Deterioration” is much more literal than in Lambes’ exhibit. In fact, Star’s exhibit literally examines objects as they decay. Like Lambes’, Star’s photographs explore vibrancy and its connection to the human condition. The exhibit featured three subjects—a match, a flower and a cup of iced coffee—during the steps of their decaying process. After talking to the artist, I realized that the works were much more personal than they originally seemed. They are what I’ve been calling metaphoric self-portraits; instead of taking pictures of herself, the artist can use non-human objects to reflect on her emotions. As humans, we cope with sadness and negative thoughts in complex ways, such as pretending that nothing’s wrong. The sadder you are on the inside, the more jubilant you may appear on the outside to mask your true emotions. Star uses color to reflect the vibrant masks some may use to hide the fact that they are breaking down on the inside. The more you deteriorate mentally, the more vibrant you appear to others. In turn, each subject’s ending picture was more vibrant than the first, using lighted frames to further brighten the colors. Star’s exhibit—although she does not explicitly imply that she wanted her audience to learn anything—also provides an opportunity for the audience to self-reflect and feel connected. As you look at her beautiful depictions of deterioration, you may realize that you’re not alone in hiding your suffering behind a cheery façade, and you have more in common with those around you than you think. 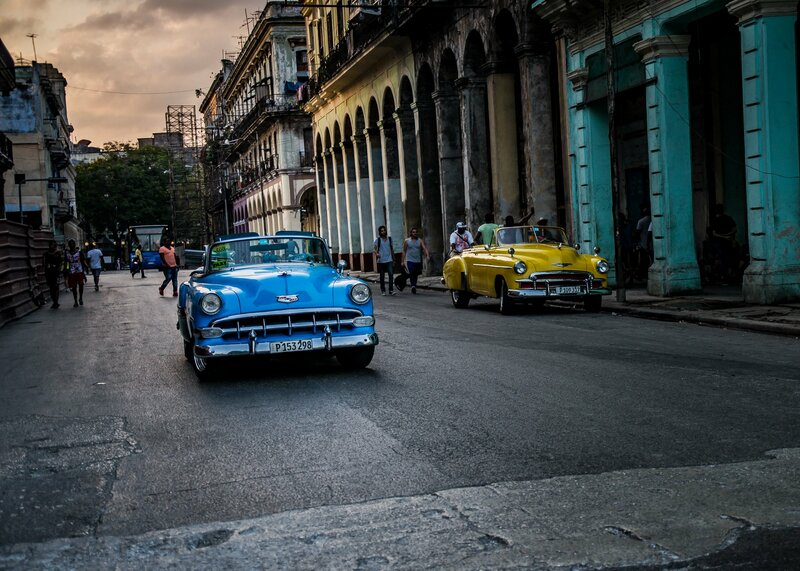 Travel to Cuba with Lambes and then give yourself the time to self-examine with Star. Let the vibrancy of these exhibits draw you in, take a moment for self-reflection and possibly learn something along the way. “Cuba: An Education” and “Vibrant Deterioration” will remain on exhibit until May 20. * Gallery hours valid during exhibitions only.